The Thaw Collection: Masterpieces of American Indian Art is scheduled to travel to the following locations with more venues to be announced. 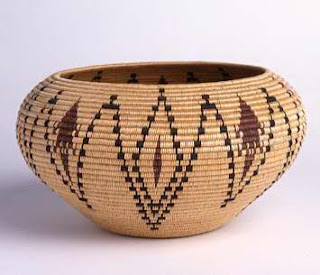 One important feature of the exhibit in Cleveland only is a basket by Louisa Keyser (Dat So La Lee), Washoe – A national treasure made by one of the most legendary basket-makers in North America. This exhibition has been made possible by the National Endowment for the Arts as part of American Masterpieces: Three Centuries of Artistic Genius. Edward S. Curtis and Zig Jackson photography exhibition ~ To expand upon "Art of the American Indians: The Thaw Collection", Cleveland Museum of Art will host a special photography exhibition in the museum’s East Wing drawing upon their complete set (20 bound volumes and 20 accompanying portfolios) of Edward S. Curtis’s landmark publication, The North American Indian, containing more than 2,200 photogravures. Two-thirds of the photography galleries will be devoted to the work of Edward S. Curtis featuring 30 of his large scale photogravures. The remainder will house the work of a contemporary Native American photographer, Zig Jackson, with 15 images from his series, Tribal Peoples. The exhibition will be on view from February 7 – May 30, 2010. For more information about upcoming basketry events visit BasketMakers.com. If you're interested in more info about this exhibtion, you can follow the Fenimore Art Museum on Twitter (fenimoreart) or fan our facebook page. We're very excited about this show!